I’ve been using my phone’s speech to text feature more and more. I use the feature to compose emails, send text messages, and search on my phone’s internet browser. I have experienced some frustration that the phone doesn’t always do what I tell it to do. I’ve modified my instructions somewhat so that more and more often, the text result ends up looking more like what I intend for it to look! For example, when I want to begin a new paragraph, “Return” and “next line” don’t work, but “New Line” does, and so does “Next Paragraph”. Note that “Next Line” will give you one standard return, but “Next Paragraph” will give you two lines in between the paragraphs. @ – “At symbol” doesn’t work but “at sign” does. * – The asterisk is really tricky. Even with perfect diction, it gets confused. I’ve found it’s easier to edit that after I’m done speaking. I’ve also had issues with the word “to”, “two”, and “too”. It usually translates it as “to”. I’ve learned to say “Too Many”, or I just edit when I’m done speaking. I’ve not been able to reliably get it to correctly type “two”. Other numbers under 10 will almost always translate as the number word and not the symbol itself. Numbers over 10 translate as the number symbol. On a teeny tiny phone screen, sometimes using the speech to text feature makes life a whole lot easier. I hope these tricks help you too! 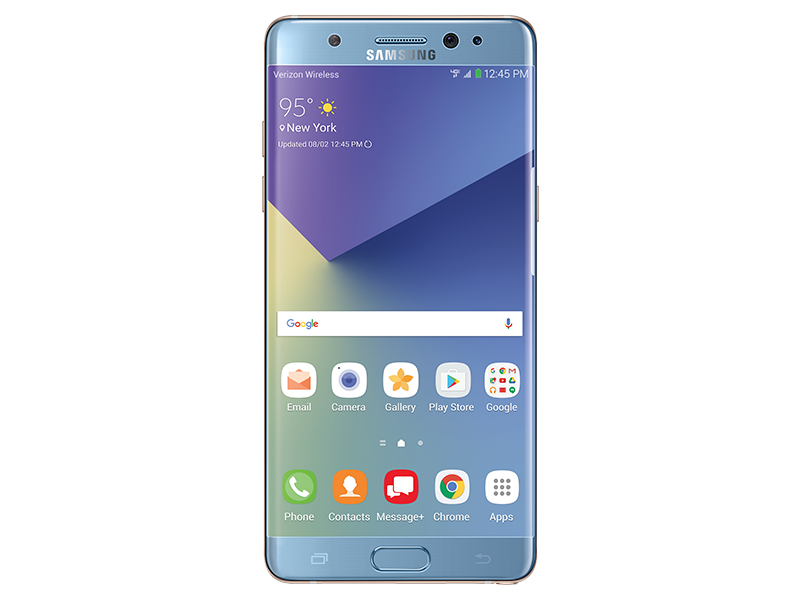 “Samsung’s exploding phone woes continue with more reports of replacement Galaxy Note 7s exploding. 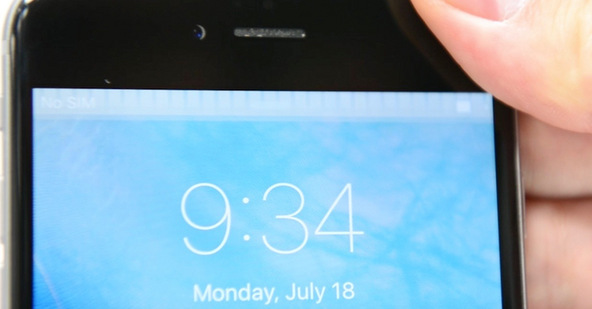 Since the phone was introduced on August 2nd, there have been reports of fires, explosions, smoke, and extreme heat. The first reported explosion occurred on August 24th in S. Korea and on September 2nd, Samsung issued a full recall of the phone citing a faulty battery. (A full timeline is provided on Fortune Magazine. When I first heard about this problem a week or so ago, Samsung was advising customers to bring the phone in for replacement. 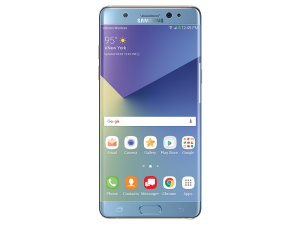 They exchanged the original model of the Galaxy Note 7 with a newer version of the same item. As of October 10th, Samsung has advised all Galaxy Note 7 owners to bring their phones back to where they were purchased. However, when this article was published, Samsung is still selling the 7 on their website, but does offer tips for maintaining normal operating temperature for your device. I think the best advice is just to bring it back and pick out a new phone. Since it has only been available in the US since August 19th, and most of our readers are not early-adopters, you may still be under a 30 day exchange policy offered by your place of purchase anyway. And, another chance for a reminder from Geek For Hire, Inc., to make sure you back up your data, especially the pictures on your phone, on a very regular basis! Are these helpful? Let us know in the comments below! Two weeks ago our blog was about getting a great cable modem. Today I’ve asked Chris to enlighten us about DSL modems. The two major Internet Service Providers (ISP) in the state of Colorado are CenturyLink (previously known as Qwest), and Xfinity (previously known as Comcast). Note that CenturyLink is the only provider of DSL internet service. Within the past week, I saw a standard DSL modem with “DISHnet” printed on the top of it. I know for a fact that Dish subcontracts with CenturyLink in the state of Colorado to provide DSL internet service, but you would have to call Dish to have any DSL troubles or questions resolved – because CenturyLink will not have a record of you or your account. So in general, if you want DSL internet service, you will be best served by going direct and getting this service through CenturyLink. 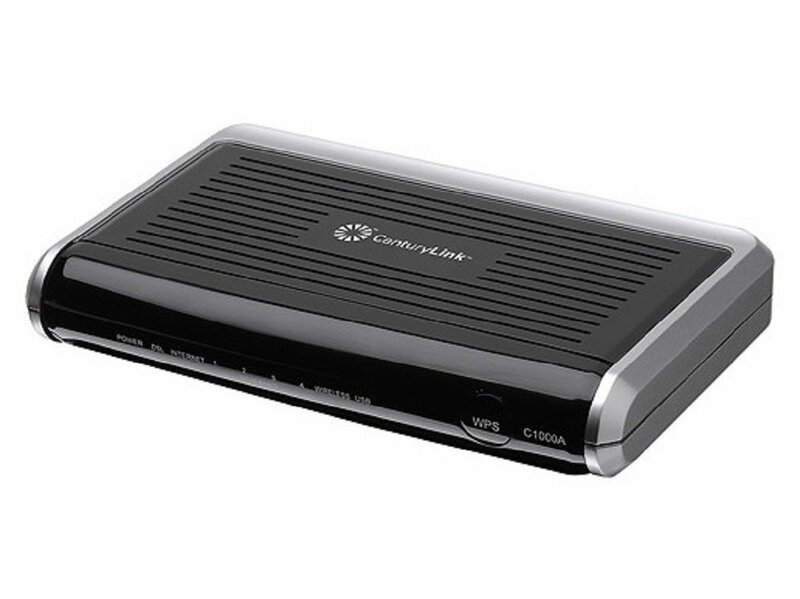 The easiest way to get a DSL modem that is compatible with CenturyLink DSL is to get a CenturyLink branded DSL modem, for about $100. The CenturyLink branded DSL modems have an “Auto-Configure” capability built in, which will automatically get the configuration it needs using the Caller-ID from your phone line. However, contrary to the general advice of CenturyLink, you can use other DSL modems – but there are some “magic values” that will need to be entered into the DSL modem. You will need to manually enter the Userid and Password, which is gotten from CenturyLink. Want more technical information about DSL? Read more in this separate article. You talk with your Town and your County about poor internet performance, and ask them to begin to have conversations with the ISP – because sometimes Politics can be put to good use to incrementally improve aspects of Your life. Need help getting your new DSL modem to talk to your computer, phones and printers? Give us a call! After Chris described how to choose a good DSL modem, I thought our readers might want some more technical background about DSL. DSL (Digital Subscriber Line) “piggy backs” a data signal onto the already existing telephone wire pairs that come to your house. It’s a way for CenturyLink to add another service or “function” to their already existing infrastructure without retrenching the roads to install new wiring infrastructure – which is a slow and expensive process. There is a physical distance limitation in the DSL specification which is 18,000 wire feet. However the wiring “snakes” around from the DSLAM (DSL Access Multiplexer) located at the Telephone Company (Telco) Central Office (CO) to get to your house, the total distance limitation to carry the DSL signal must be less than 18,000 feet of wire. Telephone wire comes in different “gauges”, which is the physical diameter of the wire; a larger diameter wire has less “resistance” than a smaller diameter wire, and a larger gauge wire allows more signal to travel farther. There will be “breaks” in the wiring where two or more sections of wire join together. These “joints” are usually made by crimping two wires together with a “button” like connection; this is fast and efficient for a Lineman to do, but each joint is a possible source of corrosion and signal noise if the joint is not kept in a weather-proof and critter-proof container. If you see a squarish metal green box in your front yard about 3-10 feet in from the road, about 6 inches on a side and about 2 feet tall, this is a CenturyLink container. If you find it open, please /Do/ call CenturyLink and report this, because this helps everyone in the neighborhood that has Phone and Internet service from CenturyLink. If you don’t call them, they will either think that they have achieved perfection, or will have a mystery problem that they just cannot get a handle on and don’t know where to begin to fix it because they can’t find it. Each joint in the wiring is an opportunity for electrical “noise” to be introduced. The farther the distance, the smaller the gauge of wire, and the more “joints” there are in the wire path leading to your house, the less clean signal will reach your equipment. There are ways for CenturyLink to extend this DSL distance limitation, and this is commonly done using a “Terminal”. The Terminal can be used as a relay to amplify and repeat the DSL signal to make it go farther. There will be a limit to how much “bandwidth” can delivered to the Terminal, mainly because there is a limit to the number of cables that have already been run to the Terminal. Most CenturyLink infrastructure uses copper wire pairs, because they are “The Phone Company”; working with copper wire is what they do, and they do it really well. Sometimes they will dispatch a “Wire Guy” (aka a Lineman) to your location, to physically inspect the entire wire path from the Telco Central Office to your house; they will try to reduce unneeded wire length by changing the details of the wire path to make it shorter and more efficient; they will also electrically measure the wire path for damage using an expensive piece of equipment called a Time Domain Reflectometer (TDR), which operates on the fact that wiring damage can be measured because it will reflect a signal back before the end of the wire is reached. They will physically inspect the wiring joints along the way to see that they are tight and free of corrosion, and that the enclosure which contains the joints is reasonably weatherproof. Read this article about selecting a great DSL modem. 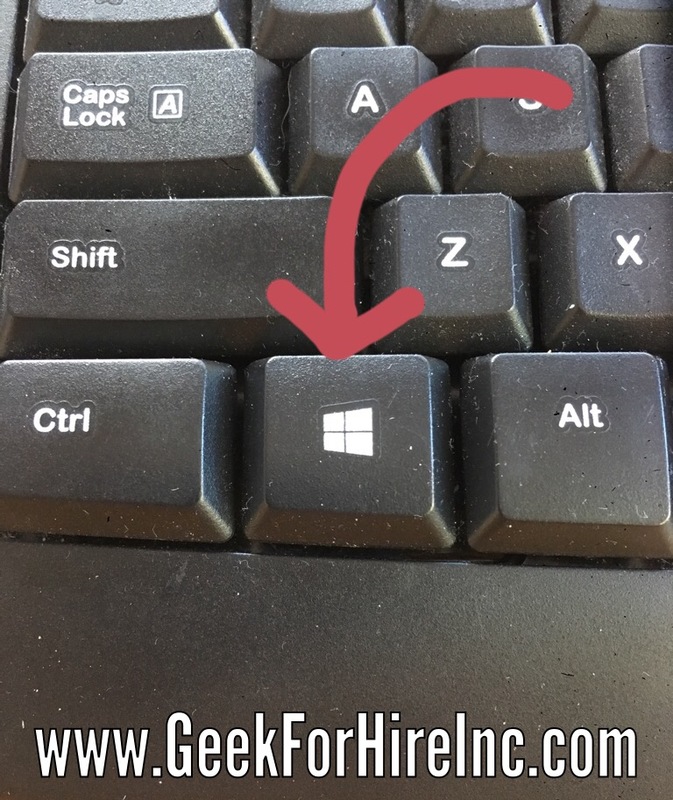 Two weeks ago our blog was about some of the shortcuts you can use with your Windows Logo key. 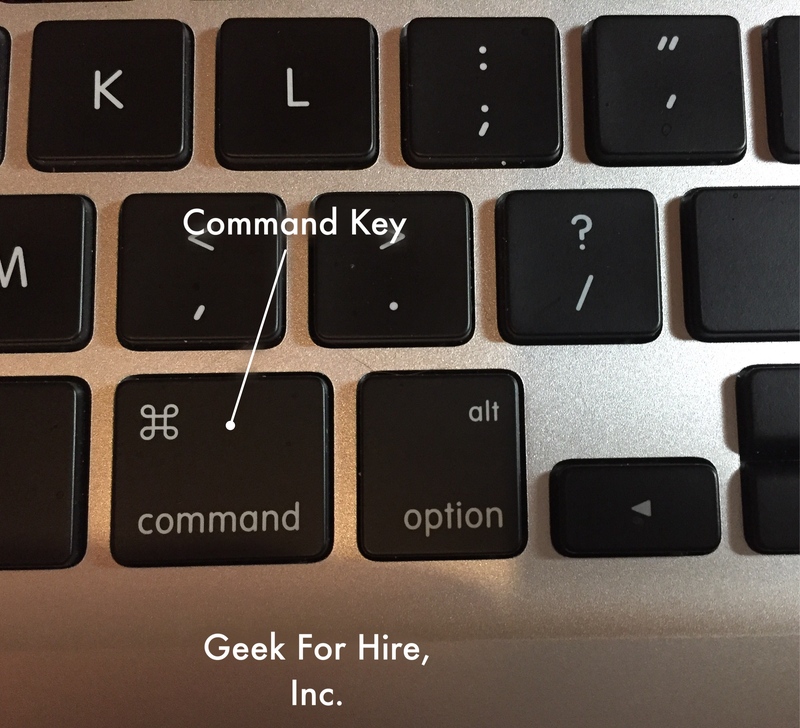 This week, I’ve got some more basic keyboard shortcuts. Here in the sunny state of Colorado, the two major Internet Service Providers are Xfinity (aka: Comcast) and CenturyLink (previously known as Qwest). Xfinity provides cable service, while CenturyLink provides DSL. This article will focus on Xfinity Internet and cable modems. We currently have CenturyLink DSL service at 12Mbps (Mega bits per second). This is the fastest plan that CenturyLink tends to offer. I have seen CenturyLink provide 25Mbps once or twice, and in the past year have seen two customers who have actually received the new Gigabit internet service (one was in a new neighborhood in Commerce City, and the other was in a new neighborhood near Stapleton). 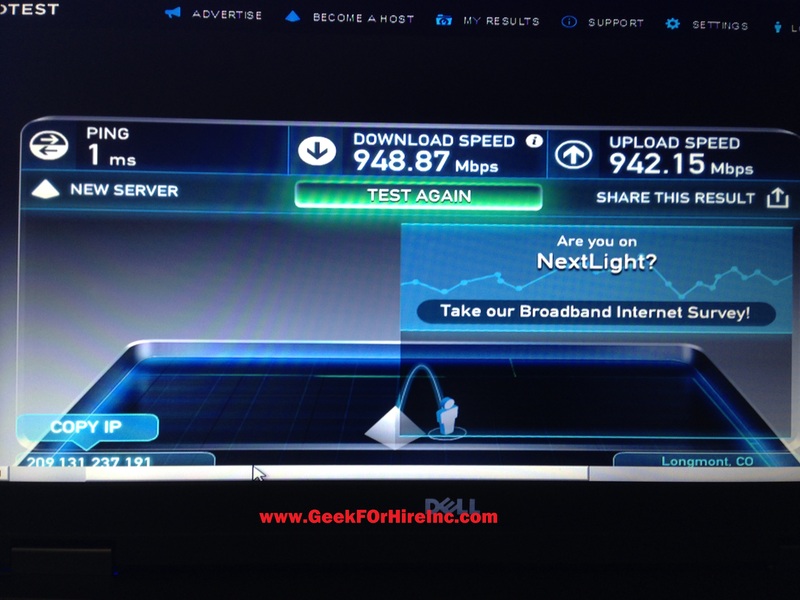 Note that there is another recently new Internet service called NextLight in Longmont which is Super Fast! They provide Fiber To The House. They are currently deployed in South Longmont, South and East of Oscar Blues. We have several customers in this area, and I have measured speeds between 250 and 800Mbps there. In general, Xfinity (Comcast) tends to provide The Fastest internet service in the state of Colorado. I will routinely measure 50Mbps at customer locations, and am seeing an increasing number of customers with 100+ Mbps service. This is good. The newer cable modems offered by Xfinity have generally good WiFi service built in to them. It’s as if Xfinity has finally gotten the concept that their customers do tend to have many tablets and notebook computers that are being simultaneously used at their home, they are surfing the internet and using Facebook and streaming movies from Netflix or Amazon, and a better built in WiFi card and better antennas tends to make the general customer experience a good one. The new cable modems are mostly black plastic, stands about 12″ tall and about 2″ wide, and have 5-6 vertical white lights on them which are about .5″ in diameter each. All new Xfinity cable modems will come with 2.4Ghz WiFi. But try to get the new cable modem which also has the 5Ghz WiFi built in to it. WiFi comes in two frequencies, 2.4Ghz and 5Ghz. 2.4Ghz WiFi has been around a long time, and that band can be crowded. If you live in an apartment or condominium, or other high density area, you will find that everyone and their mother has a 2.4Ghz WiFi router. However, the 5Ghz band is relatively new and unused – and therefore quiet. So if you’re having trouble connecting to your WiFi router, see if you can connect using the 5Ghz band, because that band tends to be much less congested. Note that not all WiFi enabled devices are 5Ghz capable, such as some printers which are more than a couple of years old. About 2 years or so ago, Xfinity began to offer their “new at the time” 105Mbps service, which was a nice improvement over their 50Mbps service. Getting the faster service required that the customer get a new cable modem, because it had the newer technology to make use of the faster service. There used to be an orange band across the back of the new Xfinity cable modems which said “105+” on it, which differentiated them from the “old style” cable modems. I haven’t been seeing this recently on the back of the new Xfinity cable modems, yet they still do provide a fast download speed of 100+ Mbps. If you are replacing your Xfinity cable modem with another one, make sure you get a “DOCSIS 3.0” compatible cable modem. Otherwise Comcast will nag you to death with pop-up messages. Read more in this article. Let us know if you need help setting up your new modem, or if your printer or computer can’t “find” the new Internet signal. I know a couple of the shortcuts that you can use with the “Windows” key. I was wondering the other day if there are more that might make my life easier. Turns out, there are! I like knowing the shortcuts because I’m a keyboard user. Taking my hands off the keyboard to negotiate with my mouse is “time consuming” in a world where every second counts. If you’re a keyboard user like me, you’re welcome! The Windows Logo Key all by itself will bring up the “Start” menu. You know, the icon you tap when you want to cleanly shut your machine down. Windows Logo Key + L will lock your screen. You’ll need to log in again, but all your open Windows will still be there. Windows Logo Key + M will minimize all of your open Windows. This is also known as the “Boss” key! Windows Logo Key + E will bring up your Windows Explorer page so you can see how much space you have left on your machine and where all of your files are. Windows Logo Key + D will show you the Desktop. 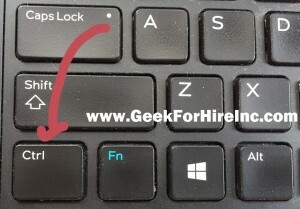 Windows Logo Key + Space Bar will show your Desktop for as long as you press down the Windows key. Windows Logo Key + T will cycle through your running programs on the taskbar. 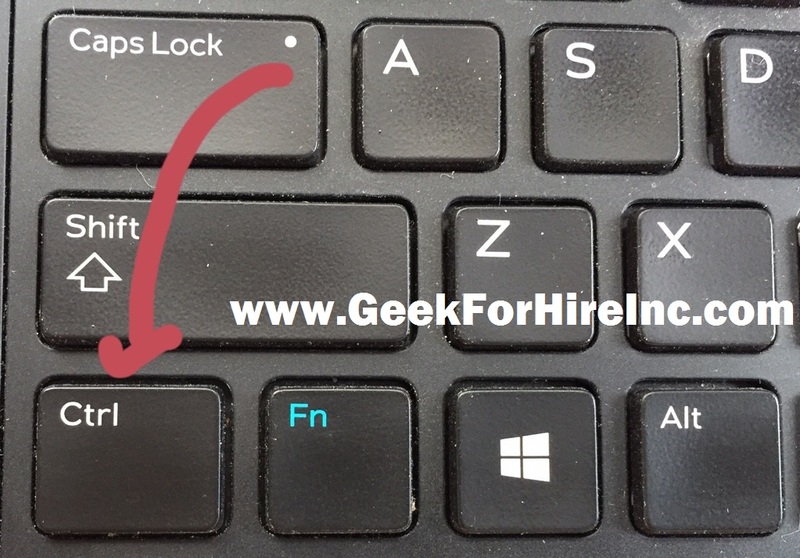 Windows Logo Key + a number will bring up the program pinned to the taskbar in the position indicated by the number. Windows Logo Key + Home will minimize all your open windows except the one you’re currently working on. If you’d like to learn more shortcuts, check out this page from Microsoft, or this one from Shortcut Mania. There are so many keyboard shortcuts. Look for more tips in the coming weeks!